Aabspec has developed advanced electronic circuits to provide the high level of temperature control which is essential for the most demanding spectroscopic applications. We offer two types of isothermal controller, the #DTC-1 (temperature range 0-399degC) and the #DTC-2 (temperature range 0-999degC plus a sub-ambient Kelvin range). The #STP-6 is a menu driven, software based temperature programmer with multiple ramps which can be heating or cooling and program memory. All these products are packaged in all-metal casings, suitable for laboratory use. The control circuitry is based on the same concept which is well proven over many years of spectroscopic research. We sample continuously at one second intervals and pulse power out as a time proportional increment. Power switching is at zero crossover. Safety features include so-called thermocouple fail-safe circuits and an audible alarm feature. The excellent level of control which these systems deliver is illustrated in the temperature/ time trace shown for actual measured device temperature. Note how quickly and precisely the temperature stabilizes after a step change. Apart from ensuring that your experiments are accurate, this level of control is essential in applications like GC/FTIR interfacing. For different reasons, the fast response time is essential with Aabspec #2000-A high temperature sampling probes where heating rates can be as high as 300degC/min. The combination of our Type-EXP sample probes and our sophisticated temperature control ensure that these probes can deliver such extremely high heating rates with virtually no overshoot. The #STP-6 Temperature Programmer provides a temperature range from sub-ambient to 1200degC. Each program can consist of up to five segments, where each segment can be heating or cooling. Ramp rates can be set from 0.2degC/min to 300degC/min. Each segment can have an individually set initial and final hold time. Program run status is continuously up-dated and displayed on the screen. The memory facility will store up to eight programs with an over-write facility. This allows the user to easily call up frequently used experimental conditions. The #STP-6 is ergonomically designed for stand alone use and can also be interfaced to your PC. 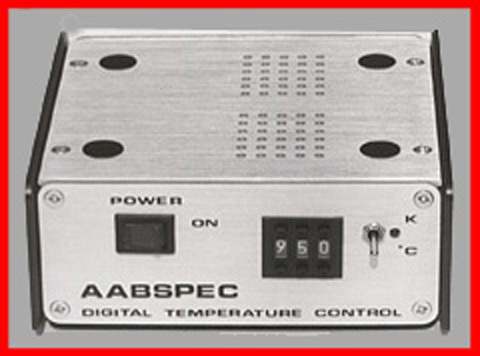 Our temperature control and programming products can be used with all Aabspec products and other manufacturer products requiring precision temperature control and programming. 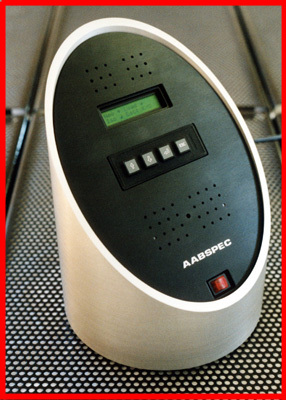 Like all Aabspec products, these devices come with our 5 year parts and labor warranty.